Most WordPress hosts, including Kinsta, have automated backups which allow you to restore in case of an emergency. However, there might be times where you need to restore and or upload your own MySQL database manually. This could be because you are migrating hosts or perhaps you want to do some local development. In any case, you can follow this quick and easy tutorial below on how to restore MySQL database using phpMyAdmin. phpMyAdmin is a free open source tool available via your browser that is used to handle administration of MySQL or MariaDB. It can be used for all sorts of different operations, such as migrating databases, managing tables, indexes, and executing SQL statements. 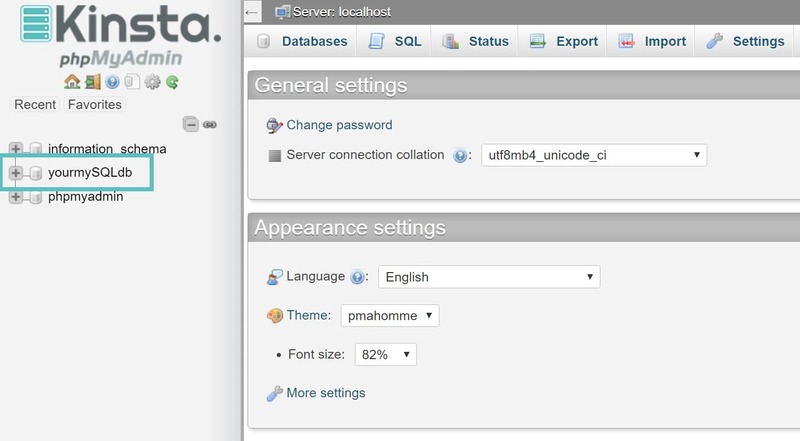 Today we are going to simply restore a WordPress MySQL database with phpMyAdmin. 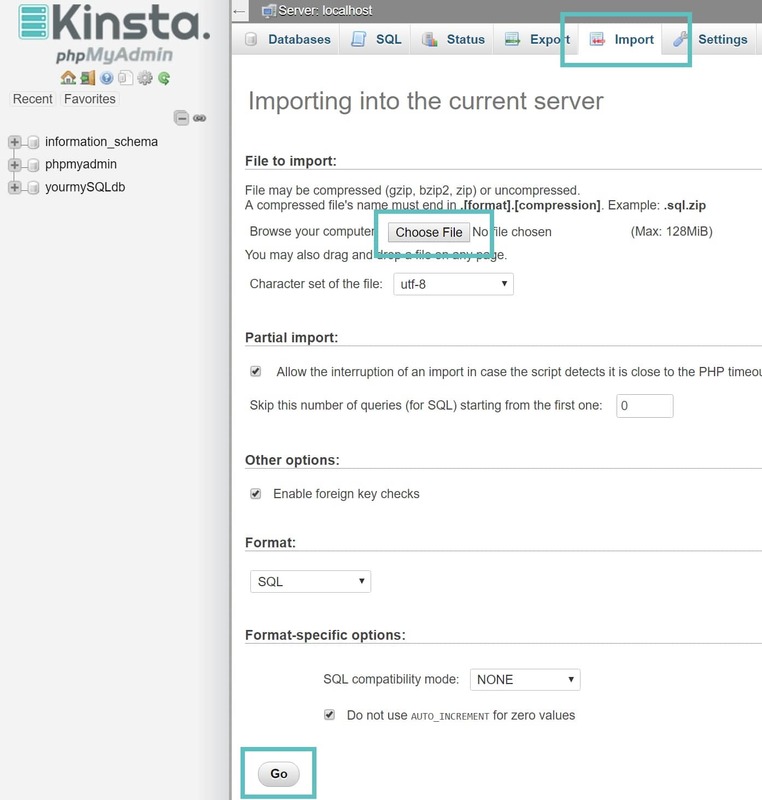 Note: This tutorial assumes you already have a backup or exported *.sql file for which you will import. If not, see our tutorial on how to backup your mySQL database with phpMyAdmin. Login to phpMyAdmin. With Kinsta, we have an easy to access link to login to phpMyAdmin from within the MyKinsta dashboard. Depending on your WordPress host, this could also be located in your cPanel account. Click into your WordPress database. Most likely the name will correspond with the name of your site. Important! Importing your *.sql file will overwrite the current contents of your database. If you are not comfortable doing this, please check with a developer first.